On Monday 3 December people across the globe celebrated the International Day of People with Disability. 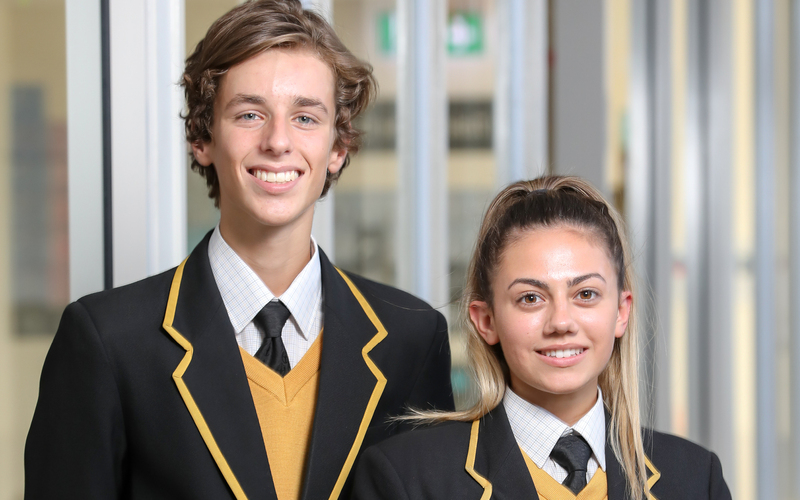 At Nazareth, we honoured this special day on Friday 23 November with student activities and a liturgy at the Flinders Park campus. The theme of this year's celebrations has been "Empowering persons with a disability and ensuring inclusiveness and equality." At Nazareth, we give thanks for the blessing and gift of the persons in our community with a disability. In her three years at Nazareth, Alessa has been a great advocate for people with disabilities. Alessa has also achieved outstanding academic success and has received numerous excellence and application awards. “When I first found out that there was a day to celebrate disabilities, I felt happy that there is a day that acknowledges the disability community. You don’t really hear much about it because it isn’t advertised widely. For me, awareness of disabilities would be access into buildings, without having to worry about being disappointed about not being able to access them. I would also like to bring more awareness to teachers and students making wrong assumptions about my disability, and assuming that I am less competent than what I am, just because I use a wheelchair. Having a disability can be challenging at times, because throughout my daily living I need lots of assistance with things like; personal care, cooking, typing, and writing. I am also socially restricted, as I can’t play sport and I have a low lung capacity meaning I get short of breath and I don’t speak very loudly, which then makes it difficult to communicate. But a disability can also be special, because I have learnt so many things that most kids wouldn’t even know about. Building resilience, physically and mentally, is something I have developed due to my disability. Physically, I have been through a lot with having several different surgeries, lung problems, fractured bones, a peg feed, sleeping with an oxygen machine and a bi-pap every night and having to be turned over every 3 hours as I sleep. I have also had to build mental resilience, as there has been a necessity to be more aware of my surroundings, to have a more mature outlook on life and to be patient with people whether it be waiting for appointments, explaining how my equipment works, trying to communicate my needs, and having to dictate my care to everyone around me. High school has been a challenge, but has made me put myself out there more. Nazareth has given me the opportunity to participate in activities to help me with my confidence and help me advocate for myself and for people to see that even though I have a physical disability, I am still your average teenager with interests, hobbies, and a great sense of humour!" says Alessa. Alessa has also been an inspiring advocate for people with disabilities in the wider community. Through the Stage 2 subject ‘Community Studies A’, Alessa recently completed a project about disability access on Jetty Road, Glenelg. "In this assignment I did a field study along Jetty Road and spoke to shop owners and council members about how to make Jetty Road more accessible for people with mobility needs. Having Ullrich Muscular Dystrophy myself and, using a powered wheelchair on a daily basis, this was a conversation I felt passionate about progressing". 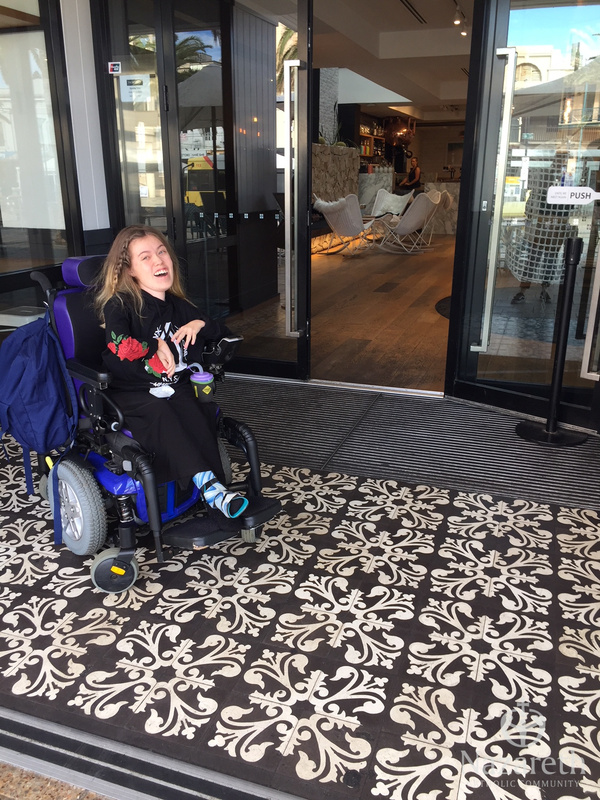 A huge success that came from Alessa's project was the result of speaking with workers of the Cotton-On group about their isles being too narrow for wheelchair maneuverability. "I emailed the Cotton-On company about this issue and provided photo evidence of the over-stocked store space. Within a few weeks, I received a response from the Cotton-On head office and they explained that they made changes to the layout of their Glenelg store, and I also noticed that they have changed the layout of their stores in Westfield Marion and West Lakes!" Furthermore, members of the Holdfast Bay Council have offered to take suggestions from Alessa and work with her on a Jetty Road Master-Plan redevelopment project. "I was also in contact with a Holdfast Bay council member throughout this process, Anthony Marroncelli (Manager – Development Services), who provided me with a history to the reasons why Jetty Road Glenelg has accessibility issues. He also stated that there is a 'Master Plan' in 2019 for the re-development of buildings in Glenelg, and that he would take the recommendations I provided into consideration." The International Day of People with a Disability is really about progressing towards an inclusive society. Today is an opportunity to celebrate and recognise the achievements of people with disability in our own communities and the broader community. Copyright © Nazareth Catholic Community Findon 5023.